Although I wrote about Best Buy a few months ago, this is an unrelated experience, and one which I felt was worth sharing. Let’s rewind the clock to a couple of weeks ago. I had been shopping for a laptop and was checking out different options, going through reviews, pricing, visiting different stores, and somehow ended up at the Best Buy at Downsview. I was very pleased with the knowledge of the sales staff, and in addition, Best Buy had the best prices of all the competitors I was looking at. In fact, these days, they apparently even go so far as to match prices from other reputable businesses. In addition to buying a laptop, I needed a Microsoft Windows license. As a result, the salesperson suggested that I get a Geek Squad membership, which would save me a significant amount off of the regular cost. At first I was skeptical, but when I did the math, between the Windows license, a monthly movie pass, and the added benefit of technical support, I thought it was very much worth it to try out for six months. In terms of technical support, I’ve brought in different items to be fixed or looked at by Geek Squad. So far, all have been fixed to my satisfaction, and in fact, they’ve consistently exceeded my expectations in terms of getting my things back to me as quickly as possible. 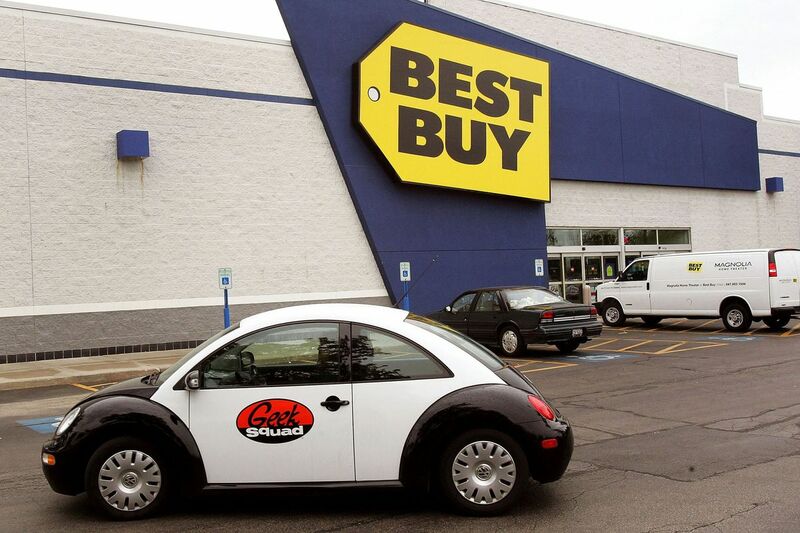 During my most recent Geek Squad visit, I was probably pushing it a little, and really put them to the test. I had been having problems with my phone charger, and while the Geek Squad representative was able to partially fix the issue, the end result was that I needed a new one after only having bought it a couple of months ago. Since I didn’t have my receipt (my fault) I didn’t have much hope that they could do anything, however, without hesitation, one of the employees at Best Buy provided me with a new charger! I was completely stunned. My jaw dropped and I walked out of the store with a huge smile on my face. While the phone manufacturer is known for making their customers jump through hoops to address issues, Best Buy stood behind the product, and their goal of leaving their customers satisfied. In last week’s blog, I suggested retailers were going to have to step up their game in their battle against Amazon and other online retailers. From my recent experiences at Best Buy, they clearly understand what they need to do to be successful, and they’re doing a terrific job! Best Buy, Brand Standards, Canada, Cell Phone Repair, Computer Repair, Customer, Customer Experience, Customer Service, Excellent Customer Service, Experience, Geek Squad, Mystery Shop, Quality Assurance, Sensors Quality Management, Sensors Quality Management Inc, Service, Shop, SQM, SQM Inc.